From the perspective of people who handle product being shipped from cold storage, well-stacked boards of freight, handled with respect during shipping and delivered at the proper temperature is vital. There is nothing worse than boards arriving at a dangerous tilt, or heavier product crushing lighter product underneath. 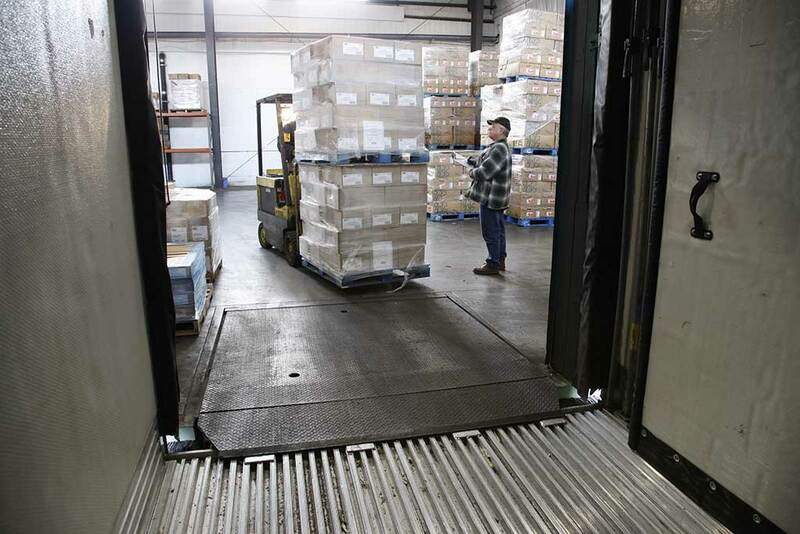 Much of this depends on the integrity of cold storage distribution centers, where pallets of freight are put together and loaded onto trucks, using much care and skill to keep the boards balanced and maintained at temp even while being moved. Businesses rely on refrigerated or frozen products in a number of ways. Grocery stores receive a variety of perishable freight every day, from ice cream to shrimp. Seafood, dairy product, deli meats, fruits and vegetables and frozen entrées are among a wide variety of items loaded onto trucks at distribution centers and trucked to the individual stores, where the drivers unload the freight at the receiving dock and hold or stock the goods in the various coolers and freezers. At Washington Cold Storage, we ensure that all product remains at the necessary temperatures even in the summer heat, utilizing temperature controlled loading docks to cut down on exposure to warm outdoor conditions. Boards that arrive in poor condition are often re-stacked in order to be safely transported and delivered to their destination. These measures alone will ensure that the receiving employees will have an easier time handling the freight delivered to them.